I am writing this column from Los Angeles, where I am visiting our West Coast readers and participating in a town hall forum America is sponsoring at Loyola Marymount University. This sort of travel was unimaginable for my pre-digital predecessors as editor in chief—they worked almost entirely on paper and had to oversee every part of weekly print production from our offices in Manhattan. Thanks to modern technology, which keeps me constantly connected to America’s intranet and the editorial process, I have been liberated from my desk (which, for the record, is itself 50 years old). As a result, I venture to say that in my six-plus years as editor in chief I have probably traveled more widely and met more of America’s readers face to face than all of my predecessors combined. Still, I notice that I am older than I used to be. My middle-aged self needs some time to adjust, so I came to L.A. a day early. This also gave me an opportunity to do something I’ve always wanted to do: go on a tour of a major movie studio. I was keen to avoid anything resembling a theme park, so I opted instead for the no-thrills, adults-only golf cart tour of Paramount Pictures. Paramount Pictures is the only major movie studio still located in Hollywood proper. Entering through its iconic archway is like passing through a time portal leading to the golden age of Hollywood. I soon joined a small group of fellow time travelers, and we were led through the studio backlot by our Paramount page, a kind of uber-intern whose principal task is to guide folks like us on a journey through motion picture history. The first thing we were told was that Paramount Pictures was founded in 1912. Wow, I thought. America magazine is three years older than this studio. That’s a lot of history, almost half the history of the United States, in fact. And during that time, the Jesuits and our lay colleagues published more than 5,000 issues of America magazine. Bound by half-years into books and placed side by side, the whole corpus stretches almost 35 feet. Not only is that a lot of history, it is history-making, for America has never been content to be the aloof interpreter of events. As our founder, John Wynne, S.J., said in America’s first editorial, while "we are a people who respect belief, we value action more." To my knowledge, America has never directly inspired a major political movement. We have championed many of them and even criticized a few. Yet Father Wynne was not really talking about movements in that sense. He meant that America would never only criticize or opine. Where possible, we would provide constructive, alternative proposals—ideas that are, in modern parlance, actionable. 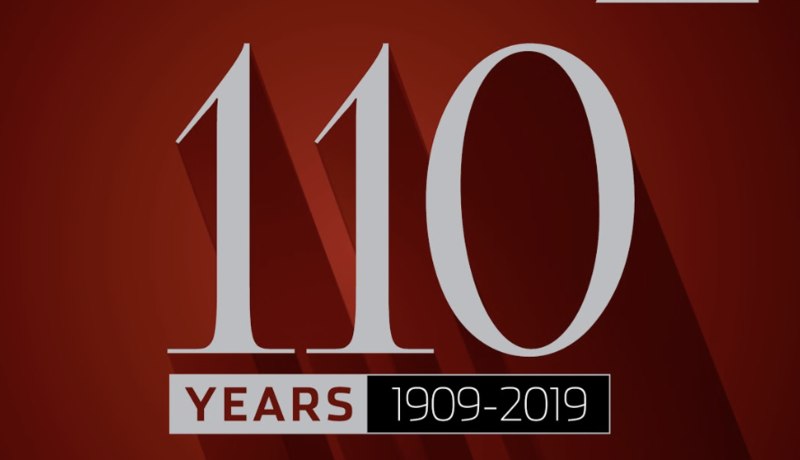 In the pages of this special 110th anniversary issue, I think you’ll see that while accounting for what we have failed to do as well as what we have done, America has largely fulfilled that aspiration. We continue to lead the conversation about faith and culture, every hour on social media, every day on the web and every two weeks in print. Do you know how to write a quality case study? Look here and you will know! This article also appeared in print, under the headline "110 and counting," in the April 15, 2019 issue.